Enjoy freshly made juices, smoothies, and acai bowls to help support our rescue animals. 20% of all proceeds will be donated to 4Life. 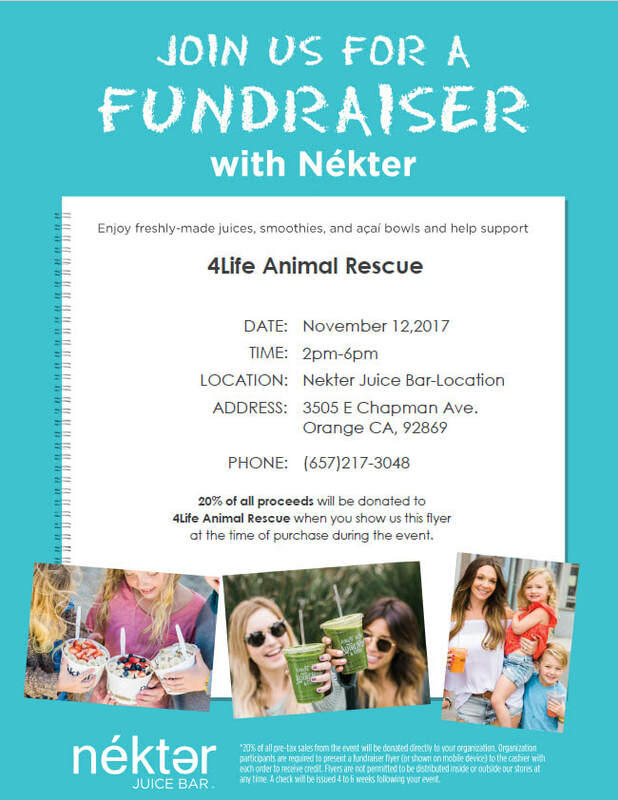 Come to Nekter Juice Bar at 3505 E Chapman Avenue in Orange, CA on Sunday, November 12th between 2:00pm and 6:00pm. Bring in this flyer or show it on your smart phone to make sure that 20% of the proceeds will be donated to 4Life Animal Rescue.